I have been busy with fun things. Doing some Christmas gifts, and test crocheting for my friend Rósa who is finally releasing some of the ideas that have been rolling around in her head for a while. 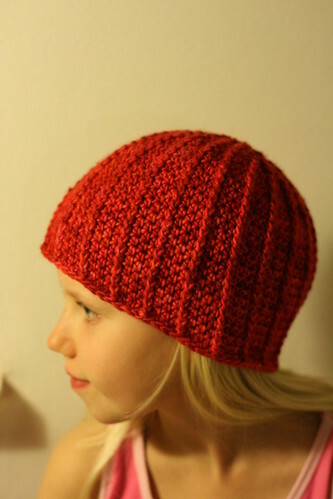 Two of them are already released on Ravelry and I link to them below the photos. 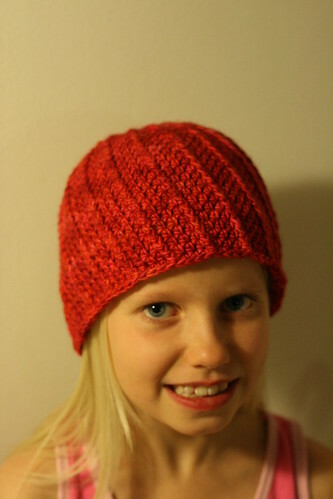 These are super fast and easy projects, and easily adaptable for different sizes. 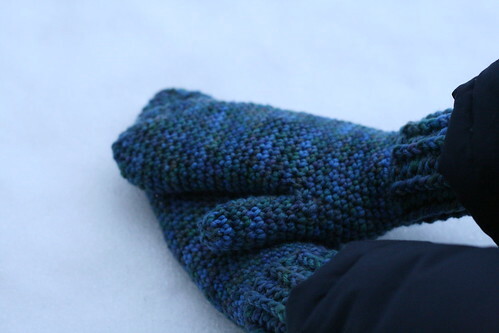 My girls are very happy with their new mittens, and Karítas wears the hat all the time and was super proud to be asked to model it for the pattern relase. 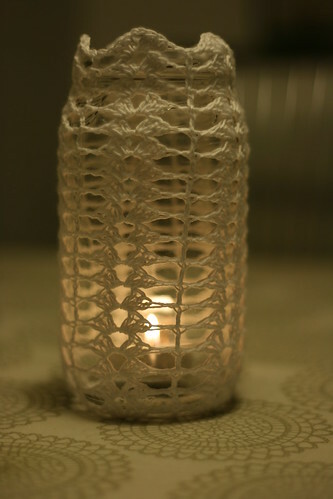 I have also been crocheting some jar covers. I made my first jar about a year ago and I keep my crochet hooks and some of my DPN’s in it. But they are also very pretty as candle holders. You just put one tea light in it and it makes the nicest light. Here are three of the ones I have made so far. I gave the orange one away yesterday, and it was very well appreciated. I love finding patterns to use and try to make each one a little different than the previous one. I made this one also, but I think I am keeping it for myself. I put some straws in it as my daughters use them a lot in their drinks. So you can basically keep anything in them that you want, pens and pencils, straws, crochet hooks, or use it as a candle holder. I’ve read your mails of the last couple of weeks. You’ve made some lovely projects and I think that grey scarf looks very lovely. 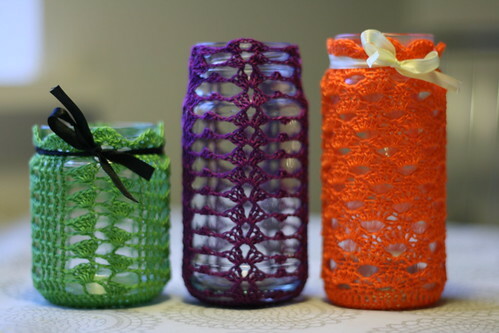 I love that idea of the crochet-covered jars – very simple and effective 🙂 You’ve done a lovely job for your friend, and her designs are great.